Basement finishing systems are a popular way to quickly and easily revamp the lower floor of Catonsville, Maryland, homes, and no company does a better job than Allmaster Home Services. We have been the area’s leading home improvement company since our inception in 1987, and have gained the experience and expertise it takes to perform virtually any home project with precision and perfection. No matter what your goals for your basement may be, Allmaster is the company that can bring them to life. Whether you want to turn your basement into a home gym or make it an entertainment area for the kids, our basement finishing systems are the perfect choice for accommodating a variety of functional needs. 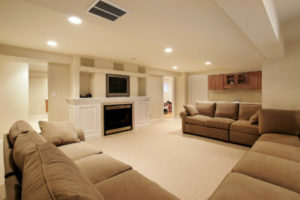 Plus, we can even provide services such as flooring, framing, and insulation to complete your basement renovation. To learn more about the basement finishing services we offer to homeowners in and around Catonsville, MD, contact Allmaster Home Services today.